Former Republican legislative aide says GOP legislators were “politically frothing at the mouth” over the restrictive voter ID law. Wisconsin Governor Scott Walker’s Republican legislative allies were “giddy” at the prospect that a radical rewrite of voting laws would benefit their political prospects. So said a former Republican legislative aide who was in the room in 2011, when Republican members of the Wisconsin state Senate were scheming to enact one of the most rigid voter-identification laws in the nation. Recalling that top legislators talked openly about how the new law would impact prospective voters in the heavily Democratic city of Milwaukee, and on college campuses that have leaned Democratic in recent years—and that one legislator told his colleagues: “What I’m concerned about here is winning, and that’s what really matters here.… We better get this done quickly while we have the opportunity”—Todd Allbaugh told a hushed federal courtroom that the Republican legislators were visibly excited about what the voter-ID law could mean for them politically. “I’ve characterized it as giddy and that’s part of what bothered me so much,” Allbaugh said Monday, in testimony on the opening day of a trial before US District Judge James Peterson. The trial is examining issues raised in a lawsuit brought by 10 Wisconsin voters and a pair of activist groups—the One Wisconsin Institute and the Citizen Action of Wisconsin Education Fund—charging that Republican legislators (most of whom were closely allied with Walker) enacted a number of laws that were designed to disenfranchise minorities, students, and other groups of prospective voters that often back Democrats. In addition to the voter-ID law, Republican legislators have in recent years changed the state’s primary-election date to August (when most colleges are on break and working families are often on vacation), done away with the option for straight-ticket voting, limited the period for early voting from 30 days before an election to just 12 days, restricted the hours and locations for early voting, eliminated special election deputies assigned to secondary schools, and prohibited cities from encouraging voting with requirements that landlords provide new tenants with registration forms. The groups and the voters who brought the lawsuit allege that the legislators violated the federal Voting Rights Act, the First Amendment, and the equal protection clause of the US Constitution. “Restricting access to the ballot box was not a consequence, but rather the very purpose of these laws,” Josh Kaul, a lawyer for the litigants, told the federal judge. On the first day of what is expected to be an extended trial, Allbaugh named names in his testimony. The legislator who allegedly said “winning” is “what matters here” was then–state Senator Glenn Grothman, who now serves as a first-term congressman from northeast Wisconsin. 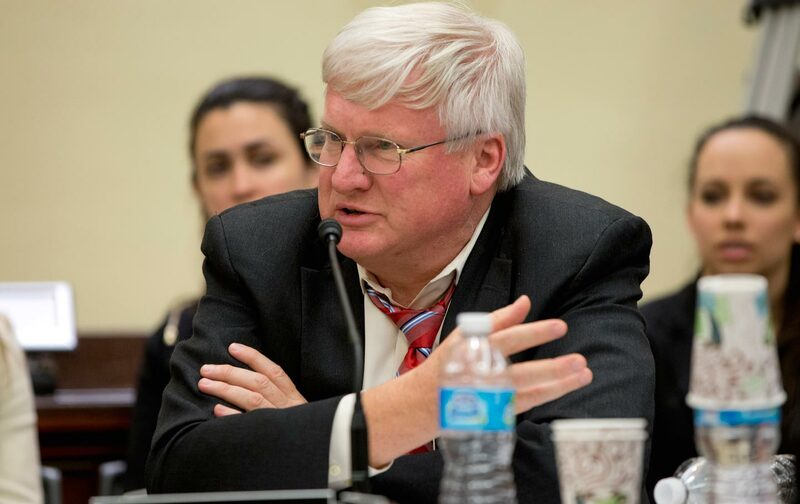 Grothman earned national headlines, and criticism, in early April, when he told a Wisconsin television reporter the voter-ID law would help the Republican presidential nominee win the state for the first time in three decades. “You know that a lot of Republicans, since 1984 in the presidential races, have not been able to win in Wisconsin. Why would it be any different for Ted Cruz, or a Donald Trump?” asked WTMJ-TV reporter Charles Benson. Allbaugh’s testimony in the federal trial suggests a pattern in Grothman’s thinking. But Grothman was hardly alone. Allbaugh, who sat in on the closed-door meetings of the Republican legislators as the chief of staff for then–state Senator Dale Schultz (a moderate Republican who raised concerns about the threat to voting rights), referenced a number of prominent legislators in his testimony. Among the senators who were most enthusiastic about changed voting rules, he said, were Randy Hopper (who would be defeated in a 2011 recall election) and Leah Vukmir, who is still a legislator. In 2011, when the meeting described in the federal trial occurred, ALEC was still pushing its “model legislation” to rewrite voting laws, including its “Voter ID Act.” And Vukmir (who has served on ALEC’s national board of directors) was described by Allbaugh as one of the two senators who were especially gleeful about Wisconsin’s voter-ID law.